I purchased Affinity Photo for iPad yesterday and started to run a few tests, and I noticed that apparently, the App does not free any space on the internal storage when I remove Images or Projects. Indeed, when I go to the iOS settings panel and I check the used memory space for Affinity Photo, I can see there is a certain amount of memory occupied by data, besides the 1.29 GB of memory occupied by the App itself, even if I remove every image in the App. Has anyone encountered the same issue ? I have been looking again, and I figured that lowering a little bit the number of History steps in the settings solved this issue. The occupied memory space is now acceptable. 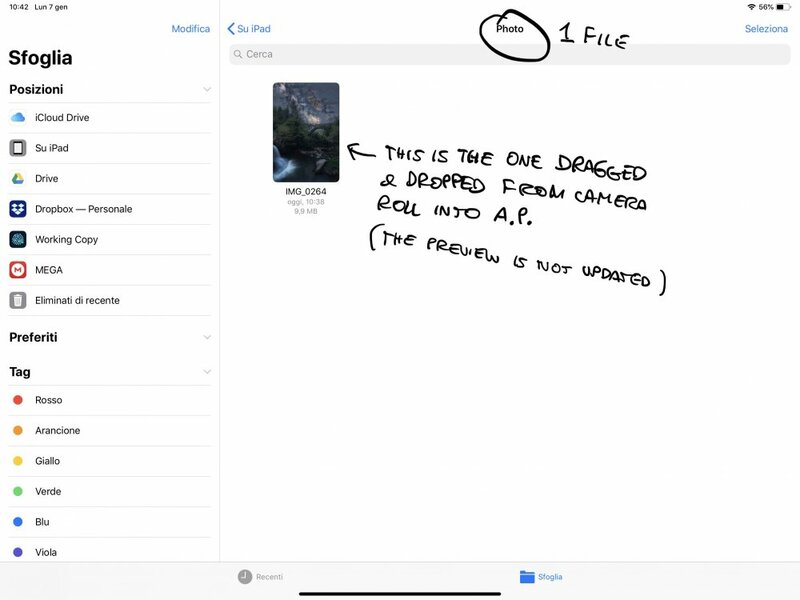 I have this problem now as well, I have had allot of pictures on the iPad, and now when I have deleted them it still “wastes” space... the app it self is 1GIG but it uses almost 7GIG of space on the iPad. And this is after I have removed everything. It looks to me that it maybe caching something. The only was it can go back to 1GIG if I delete and reinstall. Same problem here.. 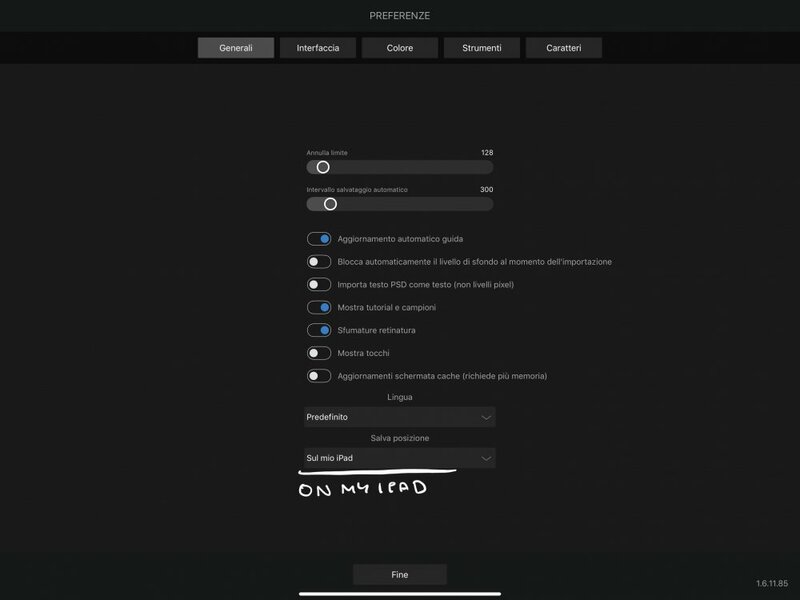 Using ipad pro 2018 12,9"
Do you have settings set to save on iPad? 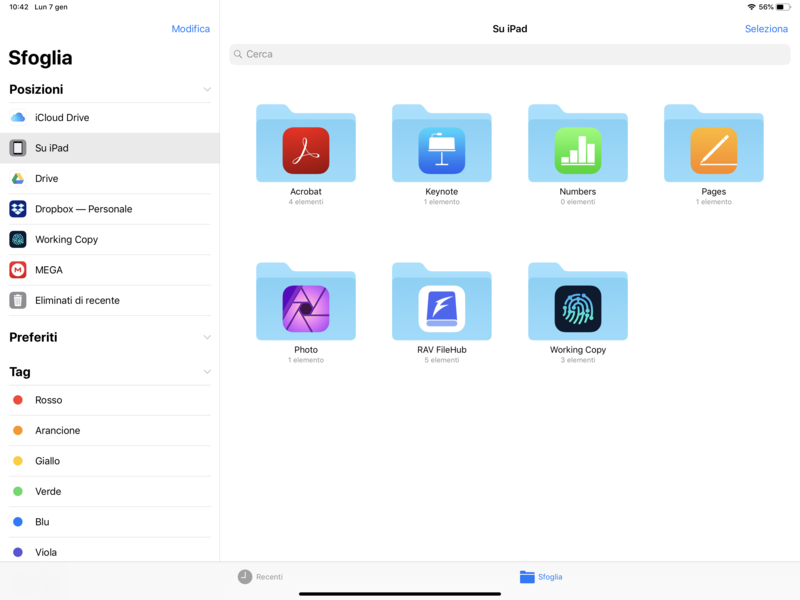 If you look in the Files app On my IPad, is there a Affinity Photo/Designer folder? In the settings i have set it to save On My IPad instead of on ICloud.. 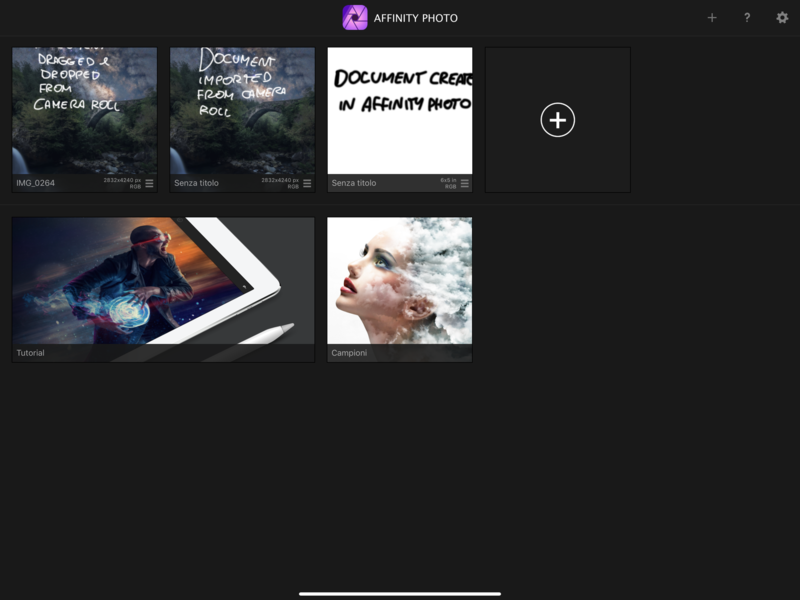 However only photos dragged and dropped from camera roll into AP show in the Affinity Photo folder! Photos imported from camera roll directly from the app do not show, neither imported from the cloud. To make them appear in the files app I have to tap the three dots and hit save. I have not still tried open from cloud but i don’t know if it matters..